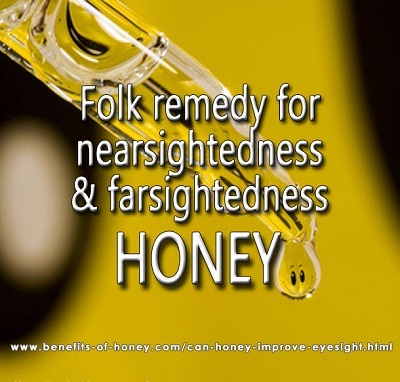 Honey, a natural source of vitamins and minerals, is known to be an effective folk remedy for improving eyesight and reducing symptoms of short sightedness (myopia) and farsightedness (hyperopia), and astigmatism. 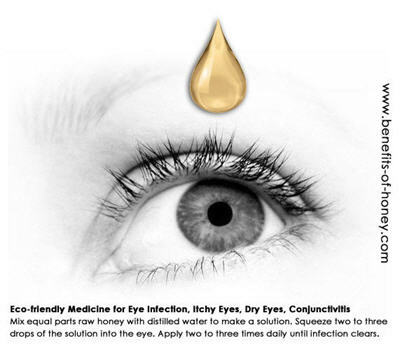 In ancient Ayurveda, good old-fashioned honey is even used for curing glaucoma and cataract, and preventing the formation of cataract. Full account in: Can Honey Improve Eyesight? [Controversial].